With viewership at record lows, a diverse list of nominees could provide a ratings jolt for the 2019 Oscars telecast. While Marvel awards contender “Black Panther” –at $1.3 billion worldwide, the highest-grossing movie of 2018 — does not need the Oscars to validate its place in history, the Oscars may need “Black Panther.” With viewership sinking to record lows this year, the annual industry fête could certainly use a ratings jolt in 2019. And diversity among its nominees could provide it, starting with the year’s most popular film. In short, inclusion sells. A 2015 Nielsen report found a direct correlation between Oscar nominee diversity in major categories and viewership. The more diverse the nominees, the larger the audience, and vice-versa. Given that ABC’s Oscar telecast generates a significant share of the Academy’s annual earnings, it’s imperative that the awards show maintain high ratings. Of course, Academy voters can only select nominees from Hollywood’s annual output. That’s why it’s imperative that industry executives with greenlight power ensure a more diverse and inclusive movie pipeline. That’s the only way the Oscars will remain relevant. So will #OscarsSoWhite trend in 2019? With a lineup of contenders in major categories that has the potential to be as diverse as the Academy has ever seen, the hashtag may take a vacation — at least for the year. But controversy dogs some top contenders. Here’s a preview of the diversity picture in key categories. 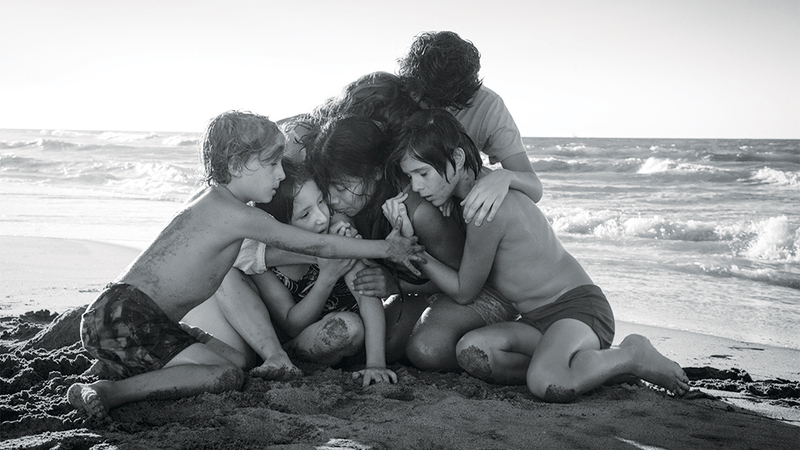 Alfonso Cuarón’s technically-dazzling “Roma” has won many hearts. For the first time, Netflix has accorded Cuarón’s black-and-white visual feast a three-week theatrical run before premiering the film on its platform on December 14. While “Roma” marks the streaming behemoth’s best shot so far at a Best Picture nomination, a foreign-language film has never won the Academy Award for Best Picture. “Green Book,” Peter Farrelly’s attempt at a feel-good interracial bromance, could serve as an Academy statement against intolerance in Trump’s America. (See “Driving Miss Daisy” and “Clash.”) However, the ongoing controversy over the film’s sentimentalized handling of race and racism, along with star Viggo Mortensen’s n-word faux pas (he apologized, with co-star Mahershala Ali’s blessing), may have tainted the minds of an Academy voting population that’s more diverse than ever. Spike Lee is fending off some controversy over “BlacKkKlansman,” thanks to a scathing critique from “Sorry to Bother You” director Boots Riley of Lee’s creative liberties in an attempt to tell a riveting story about black undercover police officer Ron Stallworth’s infiltration of the Ku Klux Klan in the 1970s. It’s neither the first nor the last the time that the historical accuracy of a fictionalized account of a real life story has been the subject of controversy. The questions is whether it sticks. While Lee and his screenwriters based the script on Stallworth’s memoir, he did add fictional characters and scenarios. 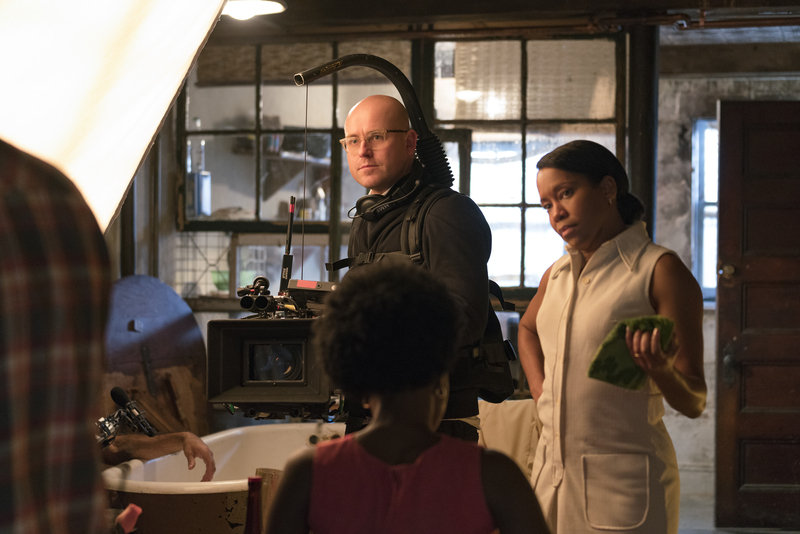 Barry Jenkins’ Toronto favorite “If Beale Street Could Talk” will get its moment in the spotlight when it opens December 14. His adaptation of the James Baldwin novel has been an awards contender from the moment the project was first announced, soon after Jenkins collected a Best Picture Oscar for “Moonlight” in 2017. 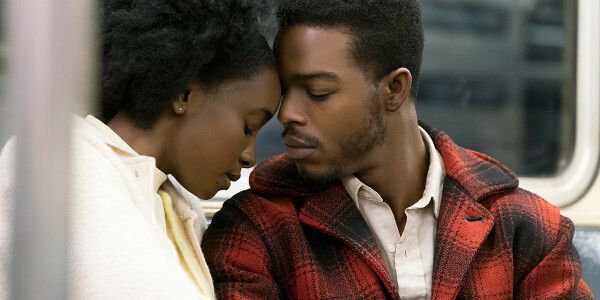 “Beale Street’s” revered source IP, visual beauty, and hopefulness in a time of pessimism, will likely push through a nomination. While Steve McQueen’s Chicago heist drama “Widows” boasts strong reviews and above-the-line pedigree, it’s not among the Oscar frontrunners. Neither fish nor fowl, the genre movie starring Oscar perennial Viola Davis is in danger of getting lost after a lukewarm reception at the box office. Without some kind of boost from year-end voters, the movie risks fizzling out of the conversation. Cuarón is in the driver’s seat for “Roma,” potentially marking a second Best Director Oscar after “Gravity” (he was the first Mexican director to win that category). Also helping to score diversity points is “Black Panther” director Coogler who faces tough competition from Bradley Cooper (“A Star Is Born”), Yorgos Lanthimos (“The Favourite”) and previous winner Damien Chazelle (“First Man”). At just over 32, Chazelle was the youngest Best Director winner “La La Land.” That’s the same age Coogler will be should he win in 2019. Unbelievably, a black director has never won Best Director, and just five black directors have been nominated in the history of the awards ceremony. On the outside looking in are Barry Jenkins (“Beale Street”), Spike Lee (“BlacKkKlansman”) and Steve McQueen (“Widows”). While all three are certainly in the conversation, none is considered a frontrunner. A win by either Cuarón or Coogler would mark a huge win in the diversity column. 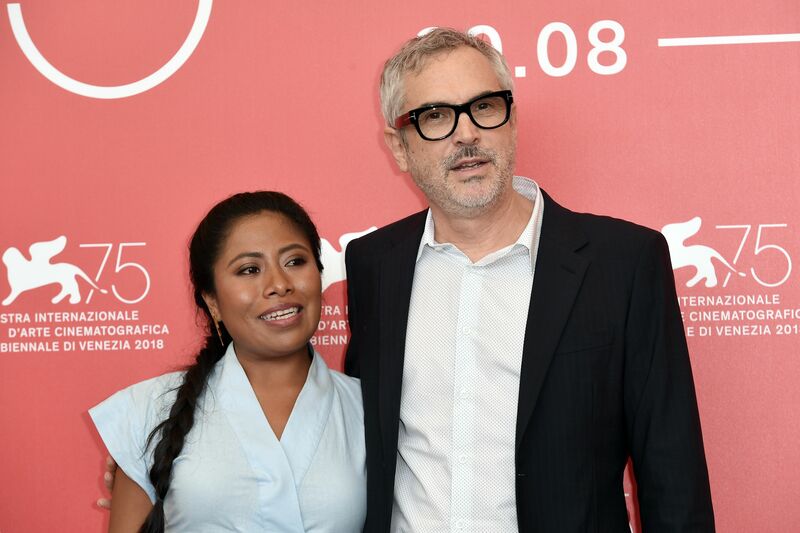 Alfonso Cuaron, Yalitza Aparicio at ‘Roma’ photocall, 75th Venice International Film Festival. While “Roma” school teacher-turned-actress Yalitza Aparicio is a frontrunner, she is also in one of the most competitive categories this year, which includes veterans Glenn Close (“The Wife”) and Olivia Colman (“The Favourite”), as well as popular and openly bisexual Lady Gaga (“A Star is Born”), whose nomination would mark one of the few instances that a member of the LGBTQ community has been tapped in this category. Close has been nominated for the Oscar five times, but never won. The Academy may feel she is long overdue. (Al Pacino sat uncomfortably through 7 nominations to finally win on his 8th.) Nominations for “Fences” Oscar-winner Viola Davis (“Widows”) and/or newcomer Kiki Layne (“If Beale Street Could Talk”) could strengthen the Best Actress diversity quotient. 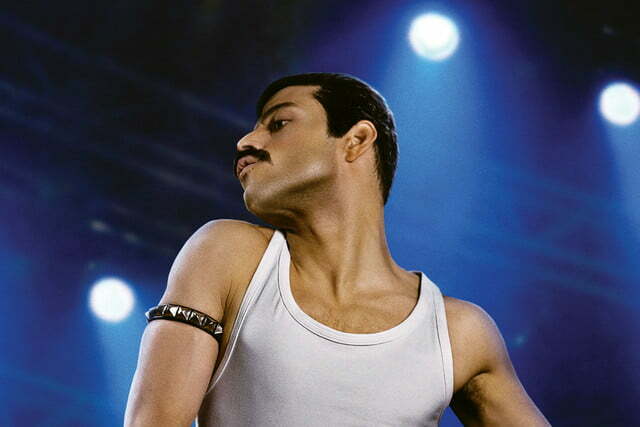 With strong critics support, Rami Malek (“Bohemian Rhapsody”), who is of Egyptian descent, has the best shot of infiltrating the frontrunners in this category, which risks being the year’s least diverse. Five straight white men lead the field: Bradley Cooper (“A Star Is Born”), Willem Dafoe (“At Eternity’s Gate”), Ryan Gosling (“First Man”), Ethan Hawke (“First Reformed”) and Viggo Mortensen (“Green Book”). Long-shots Chadwick Boseman (“Black Panther”), Stephan James (“If Beale Street Could Talk”) and John David Washington (“The BlacKkKlansman”) are in films that, should they receive nominations, will likely come in other categories. In this one, there isn’t a strong enough case to be made for any of them. James, who’s barely in the conversation, is the only one of the three who might see a boost down the road if “Beale Street” gains coattails. Meanwhile, Washington’s performance seems to be eclipsed by his “BlacKkKlansman” co-star Adam Driver, who nabbed the Best Actor nomination over Washington at awards season kick-off, the Gothamsm], as well as a Best Supporting Male Indie Spirit nod. This Oscar is Regina King’s to lose for her heartwarming performance as a fierce mother in “If Beale Street Could Talk.” And for a socially-relevant film made by a previous Oscar-winner that may struggle to find its footing in other major categories, Emmy-winner King should not be ignored by the Academy. Her main competition comes from Emma Stone and Rachel Weisz (“The Favourite”) who may knock each other out. A nomination would mark Regina King’s first in her 30-year career. Bringing up the rear are Lupita Nyong’o for “Black Panther” and Michelle Yeoh for “Crazy Rich Asians.” While they are both making the Academy rounds, they face strong contenders including previous Oscar nominees and winners like Amy Adams (“Vice”), Nicole Kidman (“Boy Erased”), Natalie Portman (“Vox Lux”) and Margot Robbie (“Mary, Queen of Scots”). The 2019 ceremony could see a repeat of the 2017 Oscars, when both supporting actor categories were won by black actors: Mahershala Ali for “Moonlight,” and Viola Davis for “Fences.” Ali returns to the table with “Green Book” in a performance that places him as the favorite in this category, with Timothée Chalamet (“Beautiful Boy”) and Sam Elliott (“A Star is Born”) not far behind. 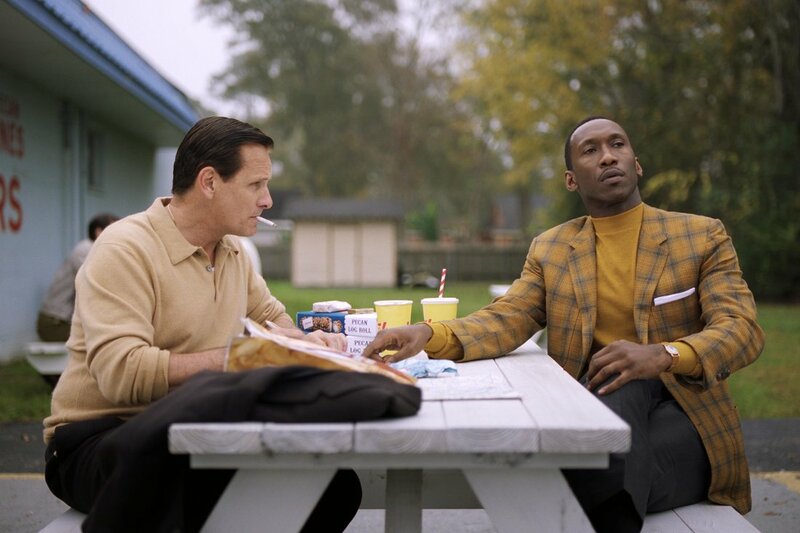 While it remains to be seen whether lingering controversy around “Green Book” will hurt its chances, that should not hurt Ali. Another possible contender is theater actor Russell Hornsby (“The Hate U Give”), whose affecting performance should be nabbing more attention. Long shots include Other possible contenders that check the diversity box include Michael B. Jordan (“Black Panther”) and Daniel Kaluuya (“Widows”). This category has the potential to be the most diverse in its nominations, from Ryan Coogler and Joe Robert Cole (“Black Panther”) to Steve McQueen (“Widows,” co-written by Gillian Flynn). 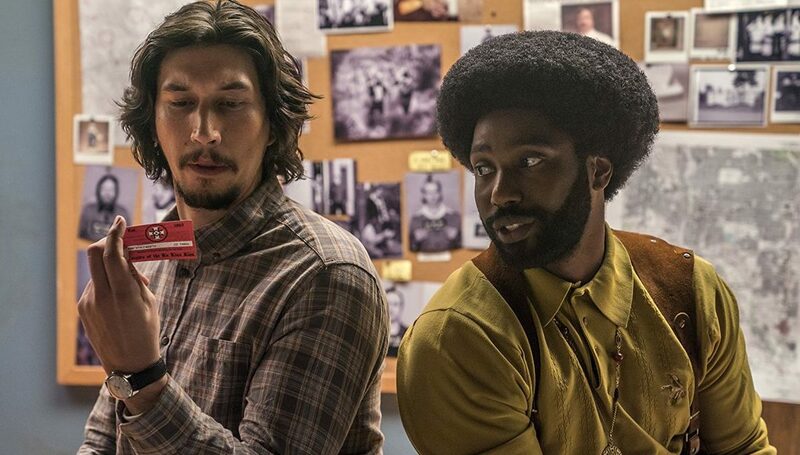 “BlacKkKlansman’s” screenplay marks its best chance at a win in a major category. A nomination would mark the third for Spike Lee, despite a healthy body of critically-acclaimed work. He’s never won since his 1983 Student Academy Award — except for his Honorary Oscar in 2015. The question of creative license in a film based on a true story may rear its head in the case of “BlacKkKlansman,” co-written by Charlie Wachtel, David Rabinowitz and Kevin Willmott. So far there doesn’t appear to be anywhere near the kind of negative campaign that targeted another racially-charged, Oscar-contending period piece adapted by a black filmmaker, Ava DuVernay’s “Selma,” in 2014. Right behind “BlacKkKlansman” is Barry Jenkins’ “If Beale Street Could Talk,” a script that’s mostly faithful to James Baldwin’s novel, although Jenkins’ stretches its length by bulking up otherwise fleeting, mundane moments. Still yet to open, it could get a post-release boost depending on how it plays. 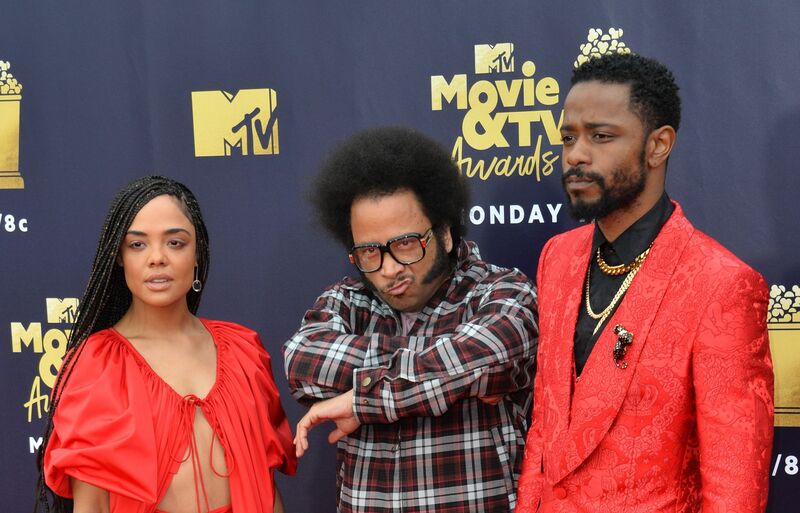 Tessa Thompson, Boots Riley & Lakeith Stanfield at 2018 MTV Movie & TV Awards. Cuarón should be firmly in the mix with “Roma,” while Boots Riley has the potential to play spoiler with his purposeful, bitingly funny, and wholly original “Sorry to Bother You,” which is already a cult favorite. While Riley’s competing with buzzier scripts for “Green Book,” “Vice,” “The Favourite,” and “First Reformed,” he could squeeze in there, now that the film has been released exclusively on Hulu, making it widely available following a limited theatrical run, which could help revive critical conversations around one of the best reviewed films of the year. Both late-comers to the dance, with release dates still ahead, are Peter Ramsey, Robert Persichetti Jr., and Rodney Rothman’s “Spider-Man: Into the Spider-Verse” (the first Spider-Man feature film to be headlined by Afro-Latino Miles Morales), as well as Mamoru Hosoda’s Cannes Directors’ Fortnight selection “Mirai” (which currently holds a 100% rating on Rotten Tomatoes). While the Oscar is Disney’s “Incredibles 2” to lose, Fox Searchlight’s “Isle of Dogs” in second place. There’s much potential for diversity in this category, led by Stephen Maing’s distressing and timely “Crime + Punishment.” Chronicling the real lives and struggles of black and Latino NYPD officers during a class-action lawsuit over illegal policing quotas, a nomination could mark streaming platform Hulu’s first. Others that might make the final cut of five include the late Sydney Pollack’s glorious “Amazing Grace” (finally released after 40 years). Its arduous journey to the screen could be a film itself, following the recent death of its central figure, the great Aretha Franklin, who passed away in August, and whose contributions to music are well-documented and honored, but whose contributions to film are lesser known; specifically, the use of her music on film and TV series soundtracks over the last 50 years. Audiences may not have seen her on screen much (save for her memorable musical cameo in “The Blues Brothers” in 1980), but they’ve definitely heard her on countless occasions. Other possible contenders are a pair of Netflix documentaries: the affectionate and comprehensive Quincy Jones film “Quincy,” co-directed by one of his daughters, Rashida Jones; and Singaporean filmmaker Sandi Tan’s compelling “Shirkers,” about a manhunt for a stolen film and a stolen piece of a life. A long-shot is critically hailed RaMell Ross’ topical “Hale County: This Morning, This Evening,” an inspired and intimate portrait of the lives of two young African American men from rural Hale County, Alabama, over the course of five years, and rookie Bing Liu’s “Minding the Gap,” a documentary search for correlations between the filmmaker’s skateboarder friends’ turbulent upbringings, and the complexities of masculinity. The 91st annual Academy Awards will take place on Sunday, February 24, 2019. Nominations will be announced on Tuesday, January 22, 2019.